Ok... first off, thanks for reading my previous blog. It's been great! Second, I decided to change from 2 blogs per month to ONE blog per month. Reason being is because I have a lot of things in my plate rn so I've decided that blogging needs to be cut down. Ok... today, I want to talk about something that happened today... 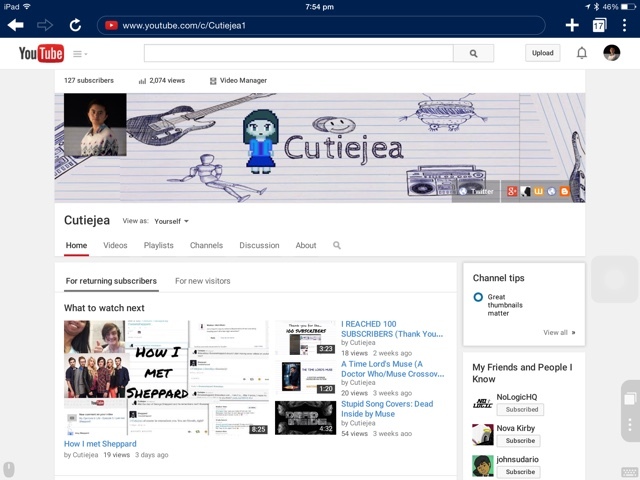 I just got my custom URL in youtube. This is a big deal for me since this new channel is a reboot channel (I was forced to delete my old channel due to a misunderstanding!) I had to loose all of my old subscribers (and 25 of them are my old friends who I met in Minecraft servers!) and all of my old videos and my views and such that it kinda upseted me cuz I lost 3 years worth of work but knowing that I was granted to get a new URL means no more stupid randum letters! If it says AT THE TOP that you are elegible for a custom URL... go for it! From there, your custom URL should look like what it says but choose wisely cuz changing it may be a hassle. 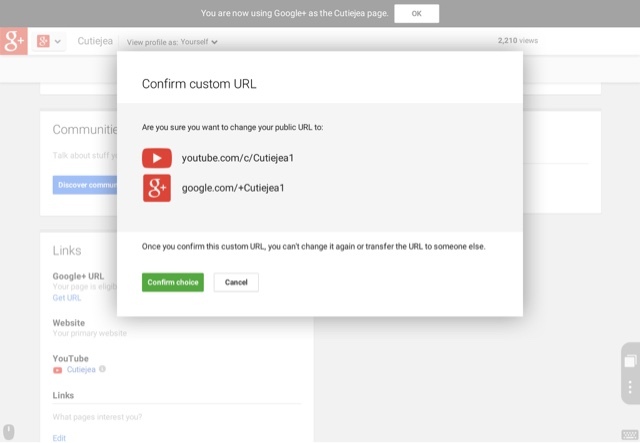 So yeah... thats my simple steps on getting that Custom URL! Please note you need to be uploading videos constantly just so you can get it (doesn't matter if its one a week to once a month... At the same time, you should not have any problems with copyright). And see you guys next month. My name is Cutiejea and this is my life out of the camera! See you guys next month!